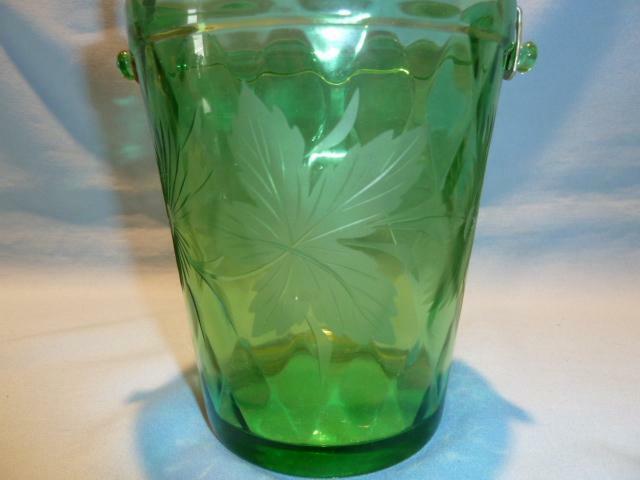 Beautiful Green Depression Glass Floral Etched and Frosted Ice Bucket with handle. 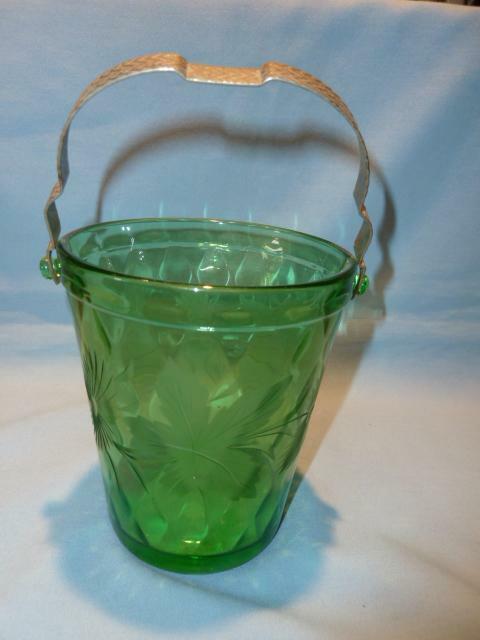 Measures 6 inches tall nearly 5 1/4 inches across the top and 4 inches across the base. 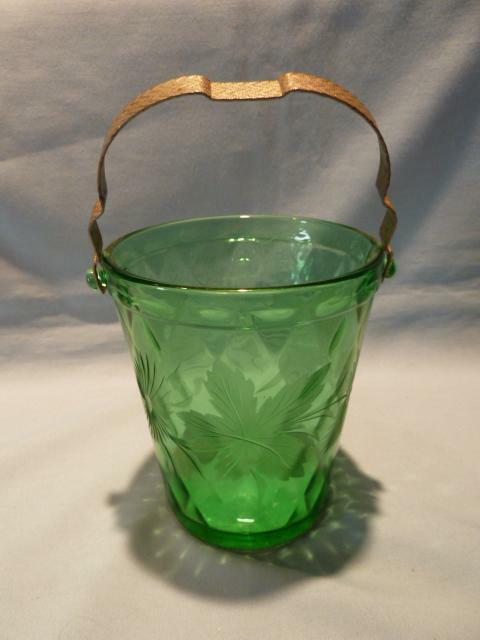 The body of the bucket is done in all over diamond quilt, with etched large flowers and leaves. 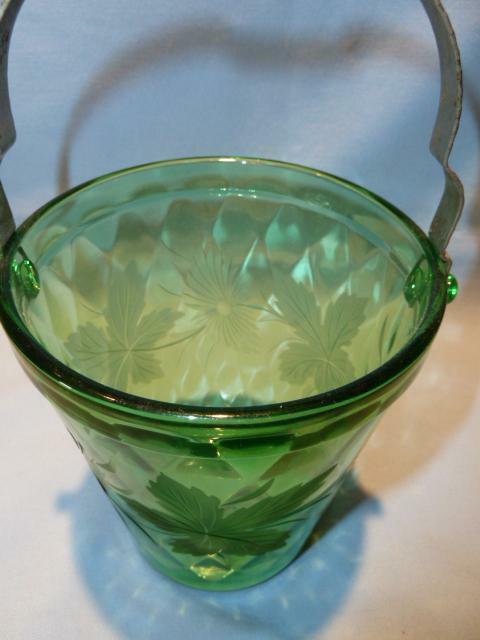 Dark green glass is in excellent condition. The handle or bail is done in a silver tone metal with zig zag designs.There are no chips, cracks, repairs or utensil marks. See our other listings. We are happy to combine items for shipping when possible. 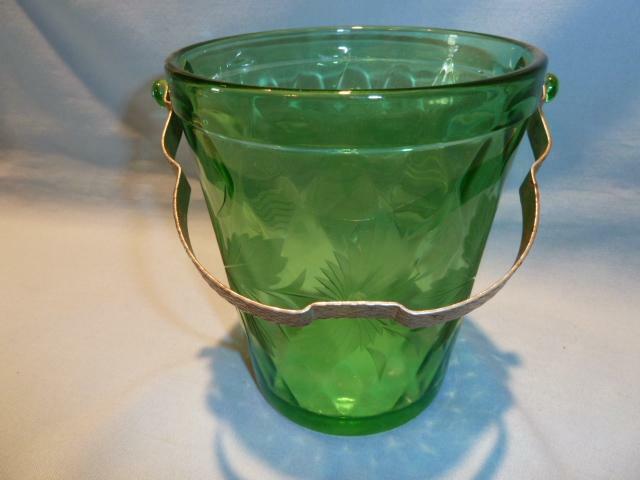 Items Similar To "GREEN DEPRESSION GLASS ETCHED FLORAL ICE BUCKET"